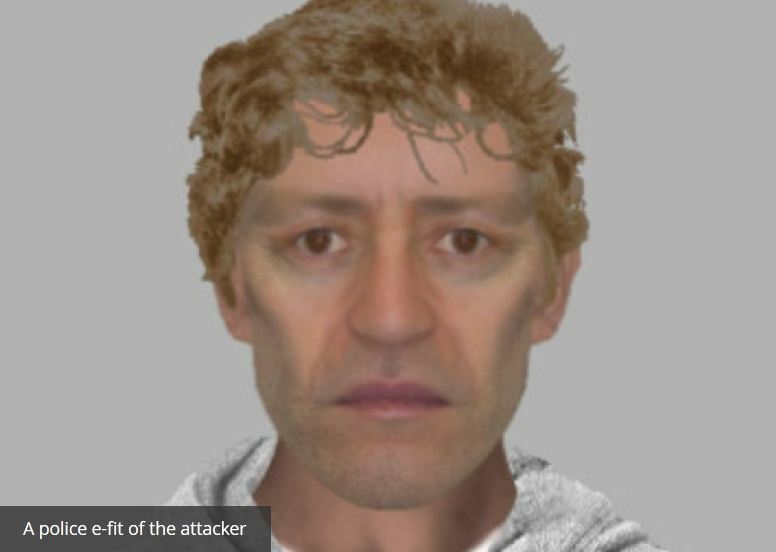 ‘Vile’ cyclist punches couple in road attack – Portsmouth News. I have posted the entire article from the News. This thug needs to be locked up. A COUPLE attacked by a cyclist have called for the ‘vile’ man to be caught. Lee Dyer and his fiancé were both punched in the face after getting involved in an argument with a cyclist while driving to pick up relatives from Portsmouth ferry port. Lee, 46, is now in danger of losing sight in his left eye due to his injuries. Police have released a description of a man they wish to speak to, who is 5ft 6in, in his 40s with mousey brown hair and stubble. The man was riding a red and white-framed bike with white-rimmed tyres. Lee and his fiancé Lisa Elphick-Smith, 49, both of Outram Road, Southsea said they had stopped at temporary traffic lights near the Co-op at The Hard when they saw two men on bikes acting dangerously. The couple then drove off, riled but thinking that was the end of of the matter. But the abusive cyclist hadn’t finished. The couple had to stop at the next traffic lights under the railway bridge in Ordnance Row. Lee said: ‘There was a massive bang on my side of the window and before I knew it, my door was flung open and I was punched in the face two times. Lisa said she jumped back and avoided the full brunt of the blow, but still ended up on the ground with a sore hip. Lee said a woman in another car accidently ran over the abusive man’s companion’s bicycle. Lisa, a nurse, tended to Lee’s injuries. She said he had a haematoma in his left eye and might yet lose the use of that eye. ‘I want this guy caught. The incident happened just before 6.30pm on Saturday, February 22. Police have only just released details. This entry was posted in Local (To Me !!!) and tagged assault, cyclist, Portsmouth, thug. Bookmark the permalink.